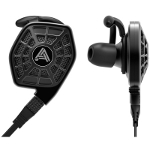 AKG launched the N40, an in-ear headphone system with Hi-Res audio performance capacity(up to 40kHz) and selectable filters to fit the type of music and the listener's preferences. 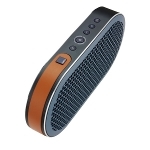 BT Rock is a small wireless loudspeaker from Altec Lansing, based on Bluetooth technology It is a two-way design with wooden cabinet and a baffle made of composite material. 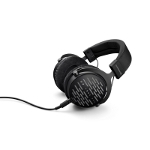 … from the Sine, Audeze's on-ear headset, also based on the planar-magnetic drivers, that was introduced earlier this year. Sine features an optional cable to bypass iPhone's DAC and amplifier. 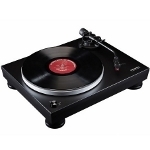 It is not new, but it tends to become a classic… Audio Technica's AT-LP5 is a low-cost turntable system which includes both a phono and a line preamplifier stage. The cartridge installed is an AT95EX, also from Audio Technica. 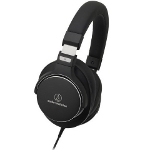 The same company also demonstrated the ATH-MSR7NC, a headphone system with active noise cancellation. Frequency response goes up to 40kHz. 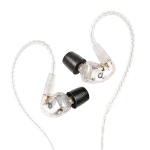 … and here are the top in-ear AF1120 for use in monitoring applications, which were presented earlier this year. It is a three-way system with six drivers per channel (two per way). 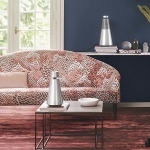 Bang & Olufsen presented two wireless loudspeakers, the Beosound 1 and BeoSound 2. 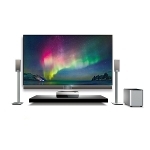 These omnidirectional designs feature B&O's elegant and unique design style and the well-known build quality that characterizes all its products. Could be used, of course, in multiroom installations too. 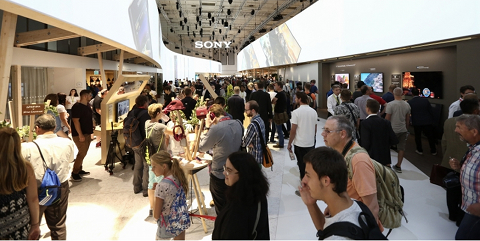 B&O had something to say about TV-sets too in this year's IFA. The Horizon is a device capable of displaying 4K, uses the same panel as their top model Beovision 14 but belongs to a lower price range, based on more economic materials, a less ambitious audio subsystem, and fewer automation features. 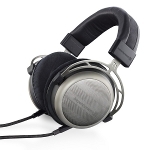 The new DT 1990 Pro is one of Beyerdynamic's headphone systems aimed at audiophiles and professionals looking for a good solution for monitoring, alike. 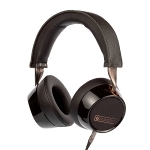 It is an open back design, based on the well-known Tesla technology magnetic system. Visitors also had the opportunity to see and listen to the latest and improved version of the T1 ( the second generation, the original edition appeared in 2010) which is available on the market for about a year. 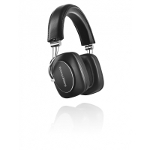 Bowers&Wilkins presented the wireless version of their P7 (P7 Wireless). 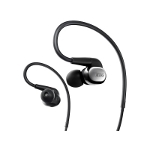 Based on Bluetooth/aptX technology, offers up to 17 hours of listening time with one charge. The company states that while the basic architecture does not differ from that of the wired P7, there are some driver improvements to ensure better lower end and sense of space. Dali showed their first small wireless loudspeaker, the Katch. Made of aluminum, it features a class D amplifier capable of 2x18W, two dome tweeters and two 3.5-inch mid/woofers with aluminum cone placed "back to back". The radiation of the Katch could be adjusted, depending on its placement. 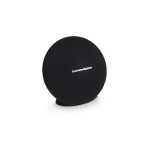 Onyx Mini is the new wireless, portable loudspeaker from Harman/Kardon. 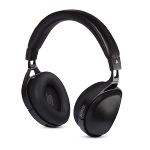 Based on Bluetooth technology, it offers ten hours of listening time and can be paired with a second unit for higher levels. It also has a built-in microphone that can be used to make calls through your smartphone. A legendary camera manufacturer, Hasselblad, launched the "4116" collection. This is a range of products that resulted from cooperation with other companies. Here. the True Zoom, a lens with 10x optical zoom specifically designed for the Lenovo/Motorola Moto Z. It has a mechanical shutter, built-in flash and a magnetic attaching mechanism. 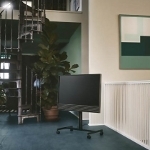 Hisense demonstrated a projection system called Laser Cast TV. 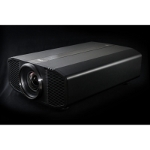 This is a 4K laser-based projector system, capable of 100-inch diagonal projection from a distance of just 50 cm. It is expected in early 2017, with a price tag of about €10,000. 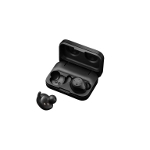 Jabra Sport's Elite is a fully wireless in-ear headphone system, featuring an active noise cancellation system and a heart-rate measurement interface to offer exercise assessment. It is resistant to water and sweat and can, of course, work with mobile phones to make calls. 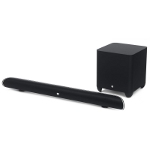 SB450 from JBL is a soundbar tailored for 4K projection systems. 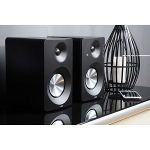 It is a 2.1 system with a wireless 8-inch subwoofer, offers three HDMI inputs and one output and features wireless streaming through Bluetooth. 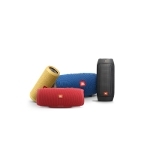 The same company also announced that their small, portable wireless loudspeakers will support the voice command technologies both from Apple (Siri) and Google (Google Now). JVC demonstrated the DLA-Z1 projector, with 4096x2160 resolution (using D-ILA technology). DLA-Z1 features a 100mm lens and can display 4K/HDR material through laser technology that offers 3,000 Lumens of brightness. The price is expected to be in the region of €35,000. 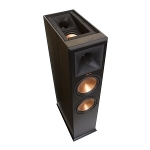 To celebrate their 70th year, Klipsch demonstrated the anniversary edition of their famous La Scalla II loudspeaker. It is handmade and will be produced in only 70 pairs, each individually numbered and signed by the craftsman who assembled them. 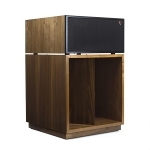 Klipsch also displayed their Reference Premiere series whose main loudspeakers, RP-208FA, based on the known RP-280F, include a separate loudspeaker for the elevation channel, embedded on the top so that it is compatible with Dolby Atmos. The sense of height is created through the ceiling reflections. 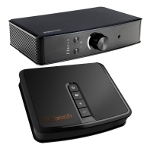 Finally, Klipsch showed a complete home entertainment system with multiroom features, based on the DTS Play-Fi wireless technology. The system will include loudspeakers, soundbars, amplifiers and d/a converters. The photo shows the Stream Gate (streamer/hub connecting device) and the Stream PowerGate (class D amplifier with 2x100W power).